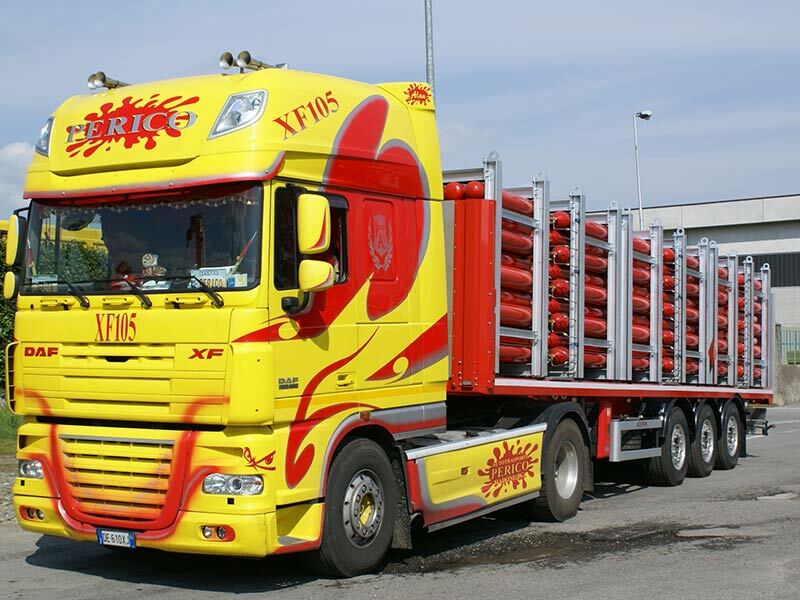 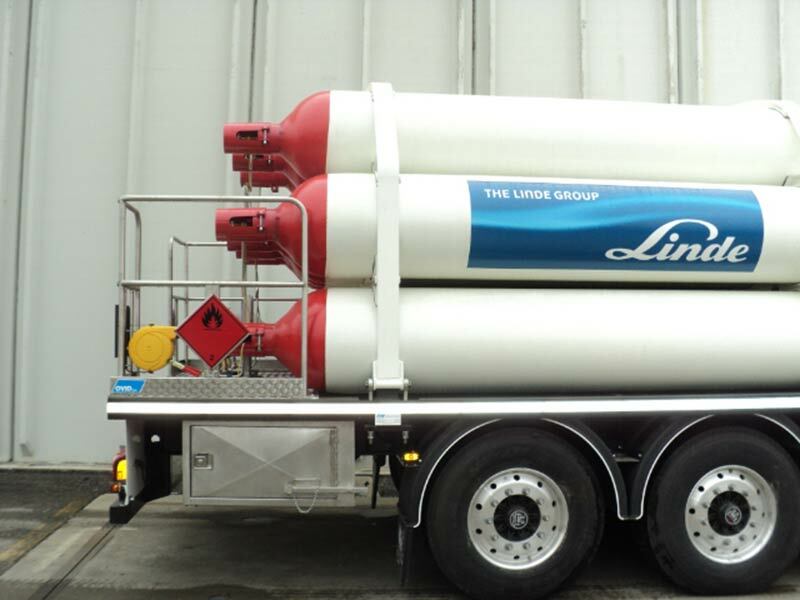 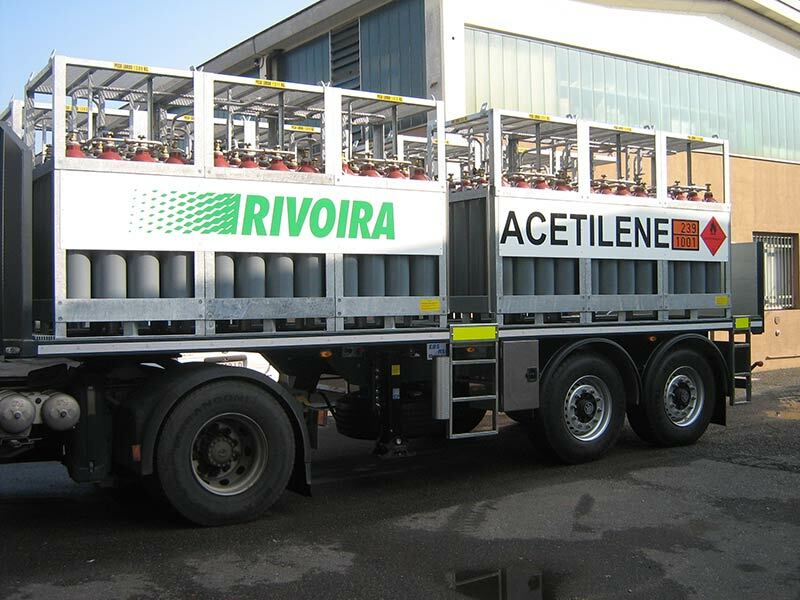 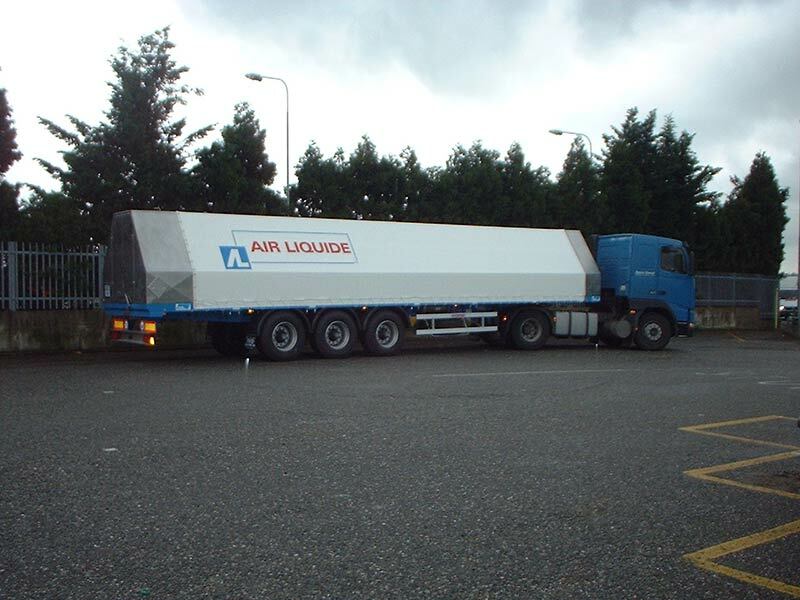 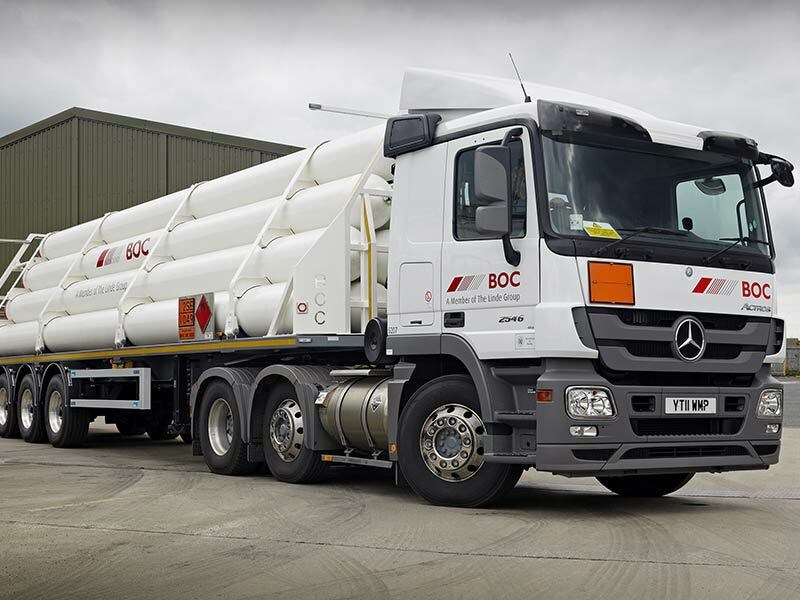 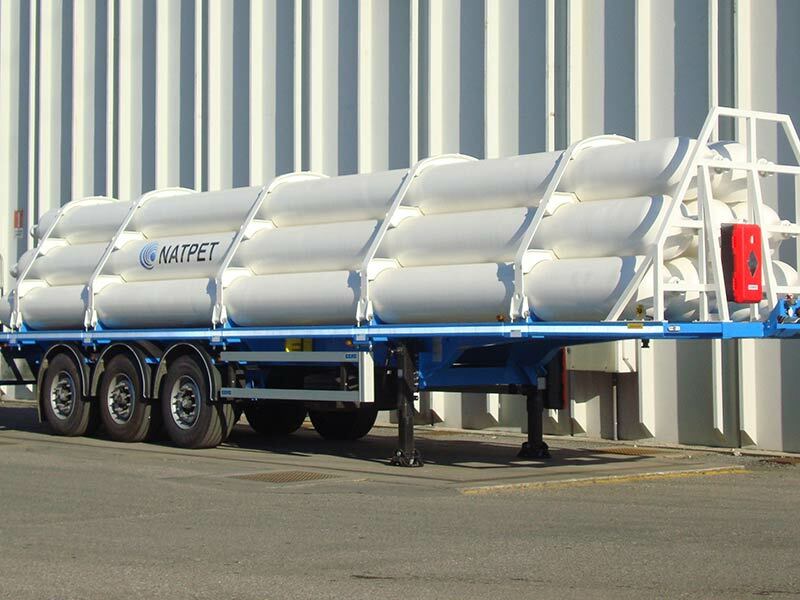 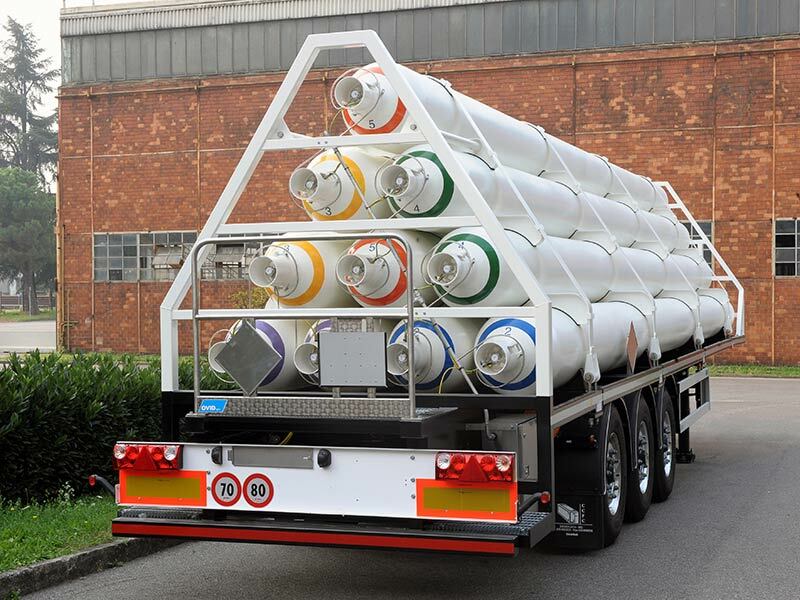 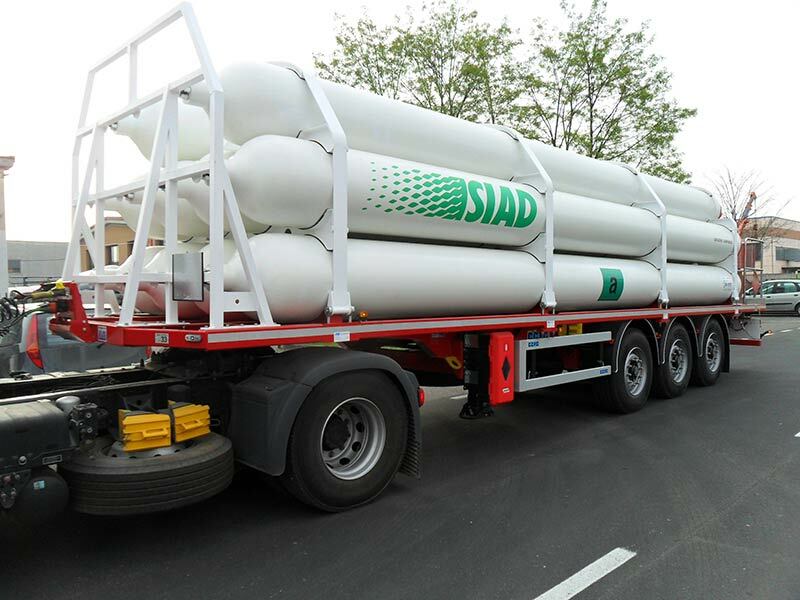 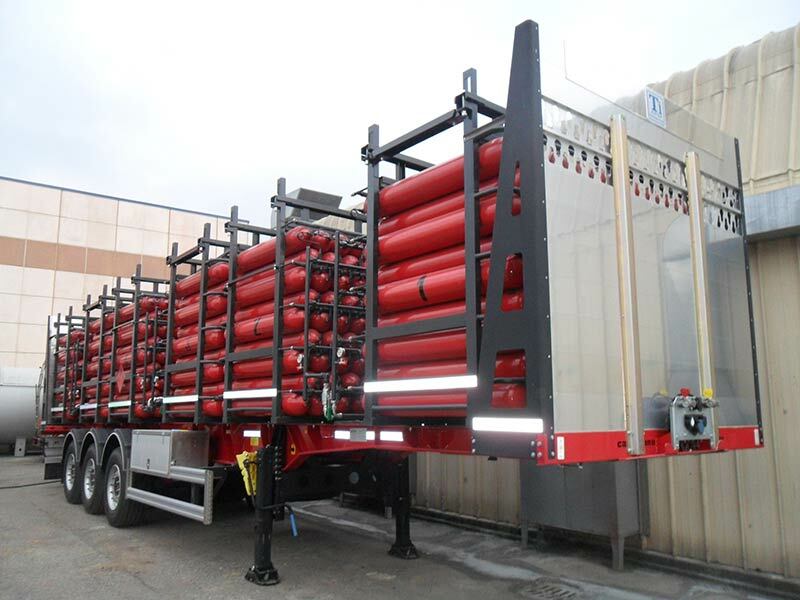 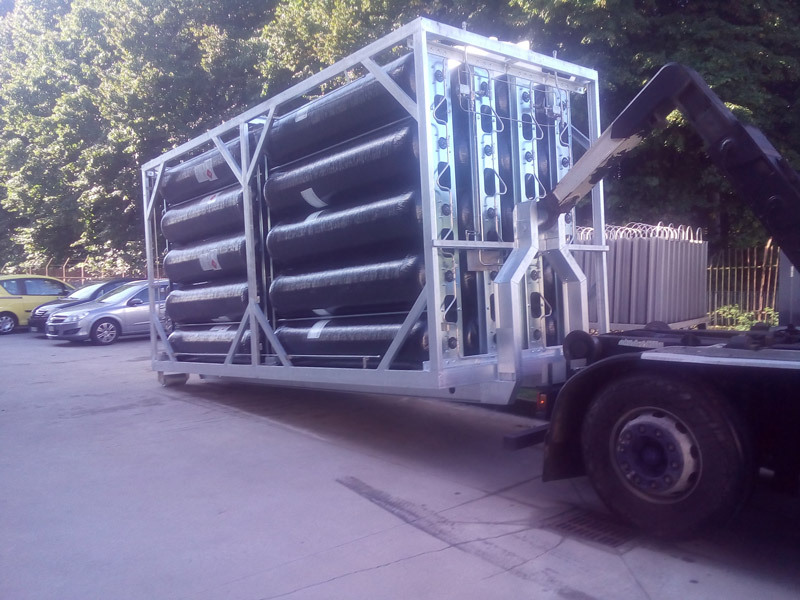 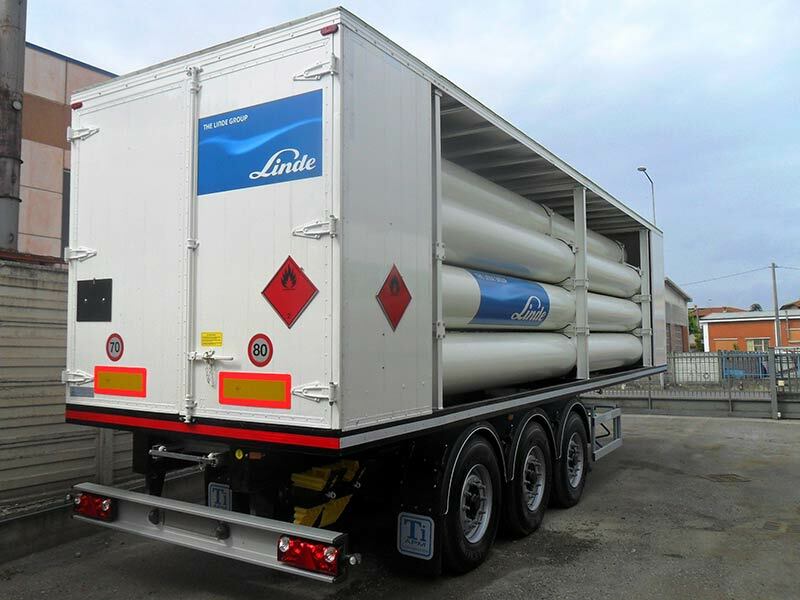 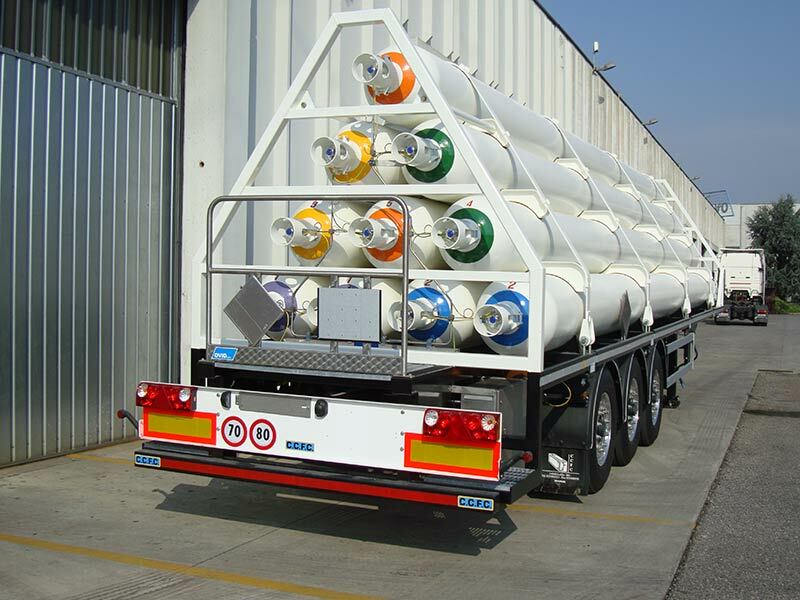 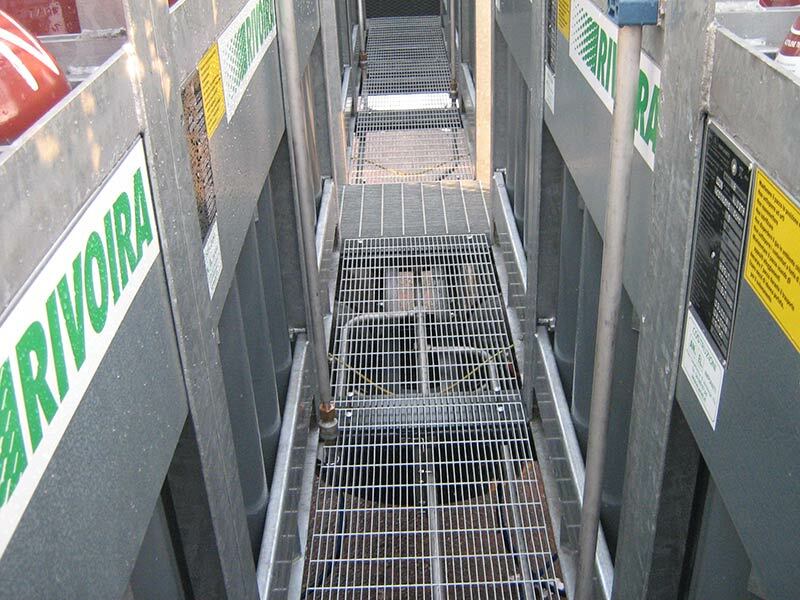 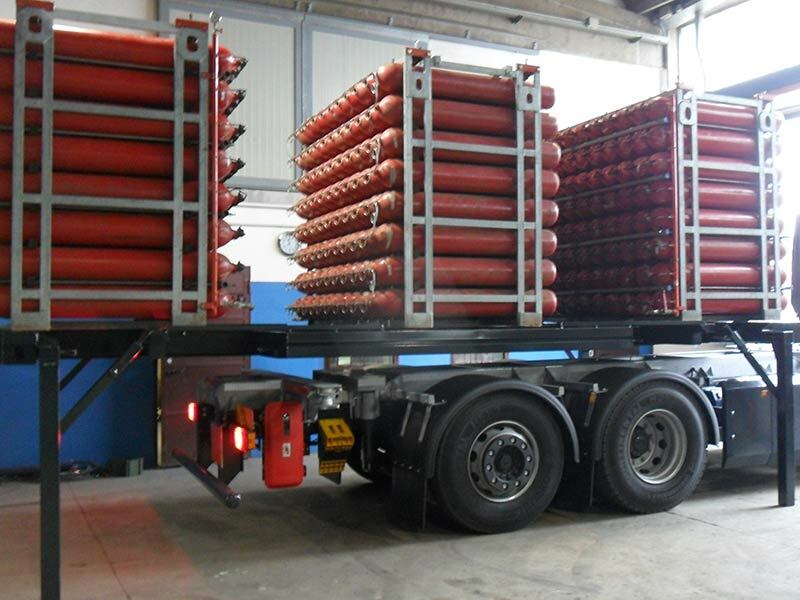 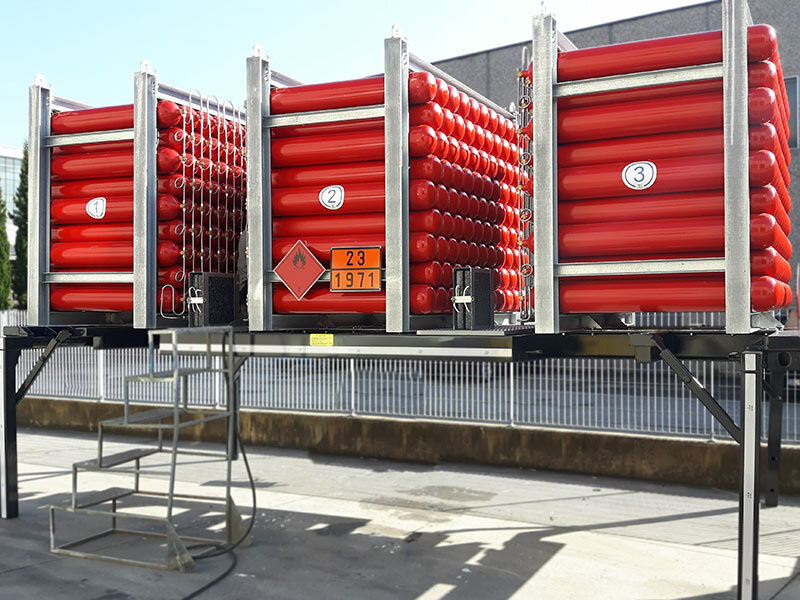 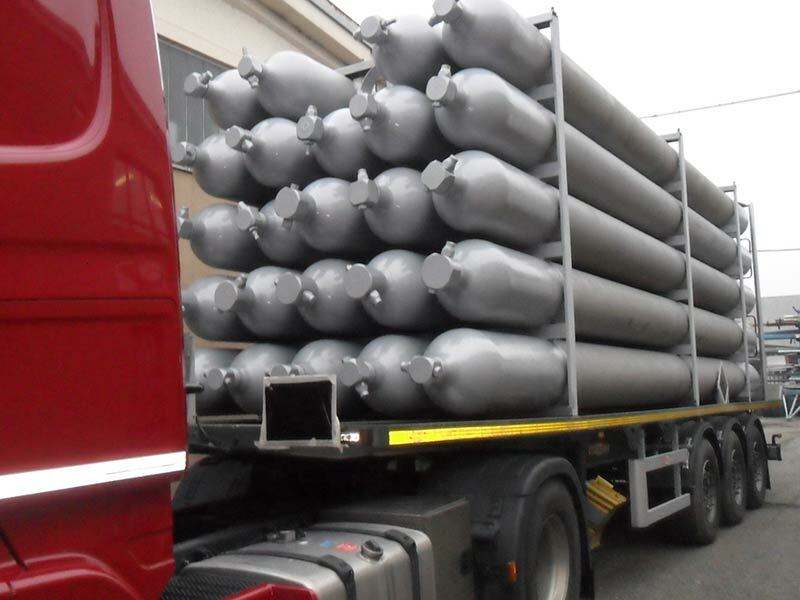 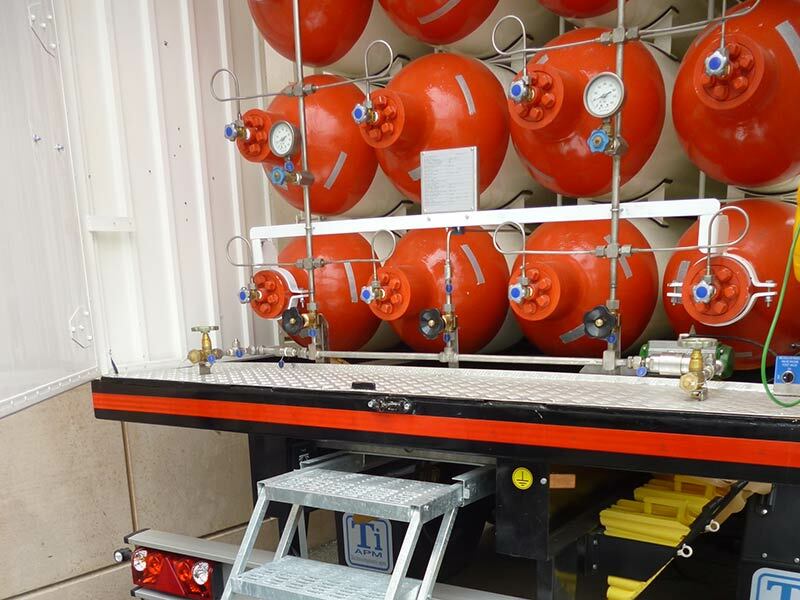 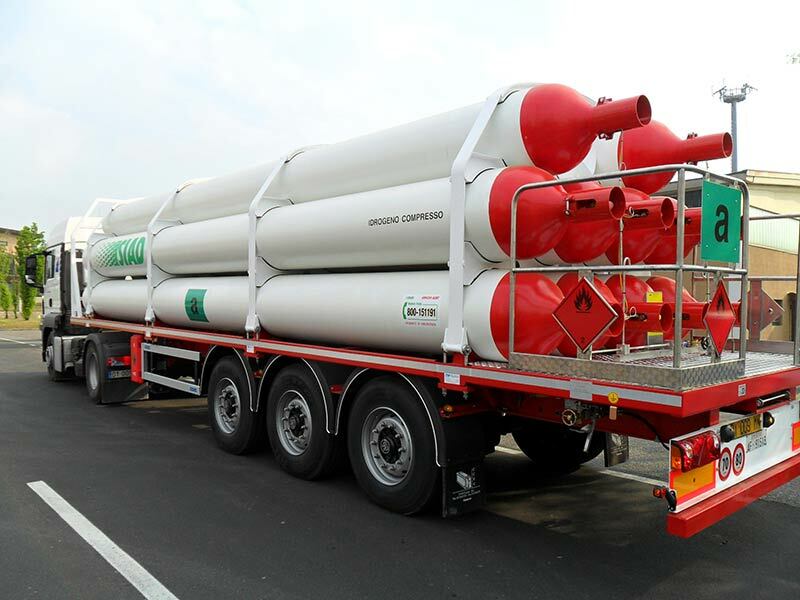 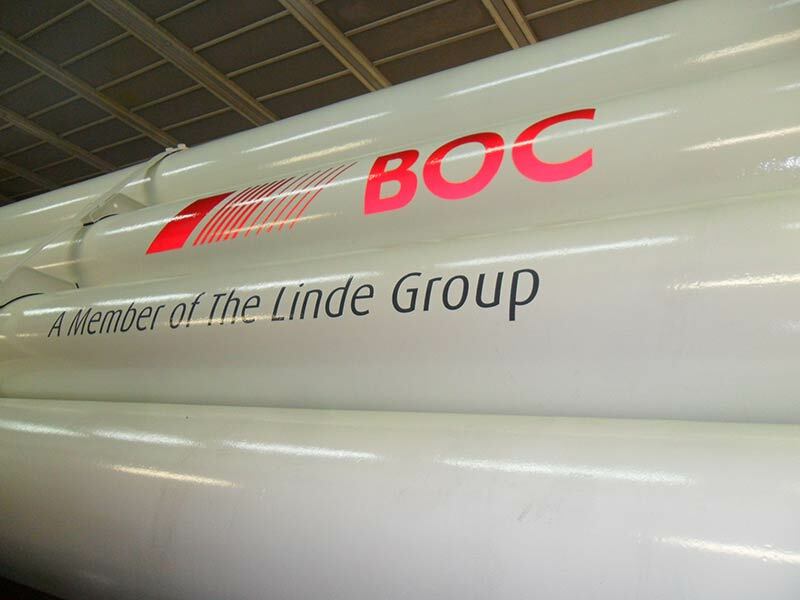 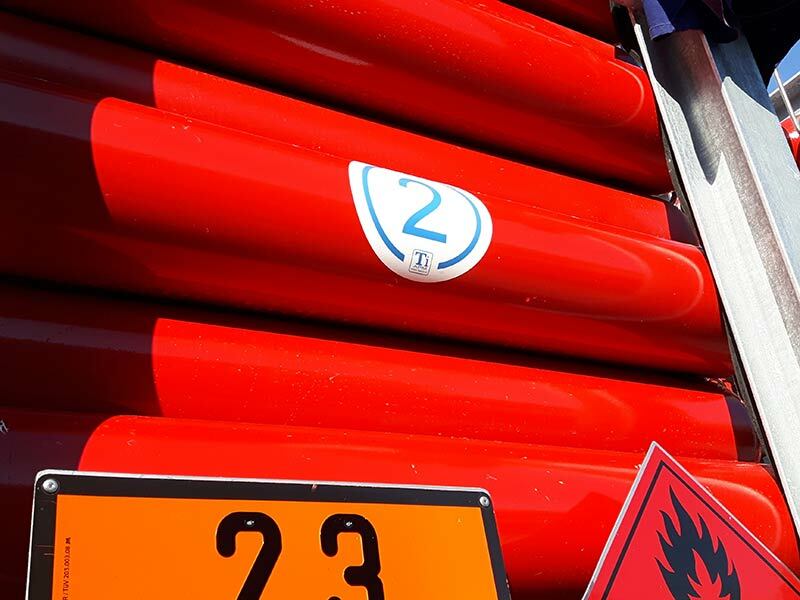 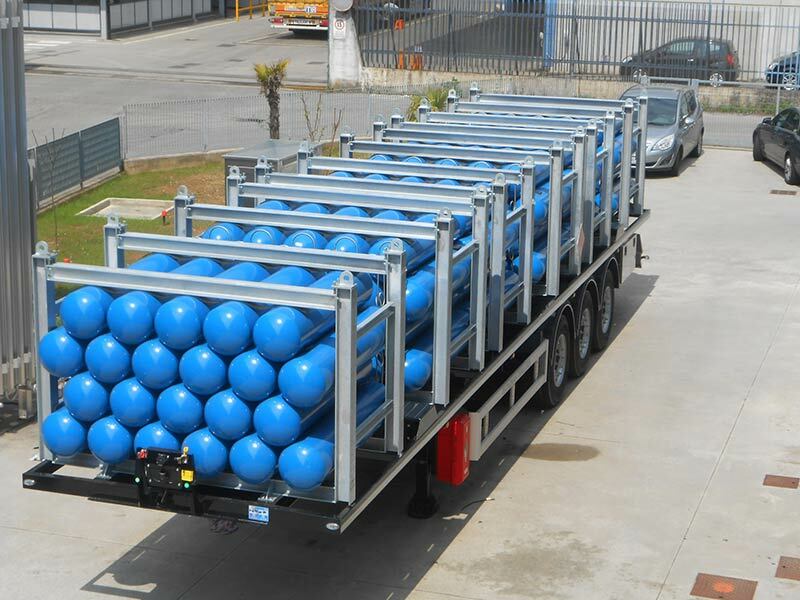 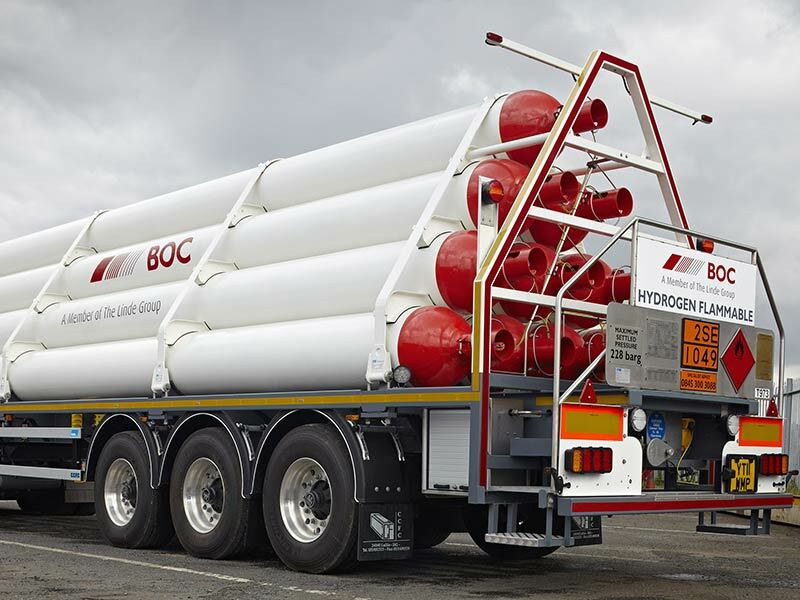 Cylinders trailers: They are the solution, among those with all-steel cylinders, which allows the highest payload. 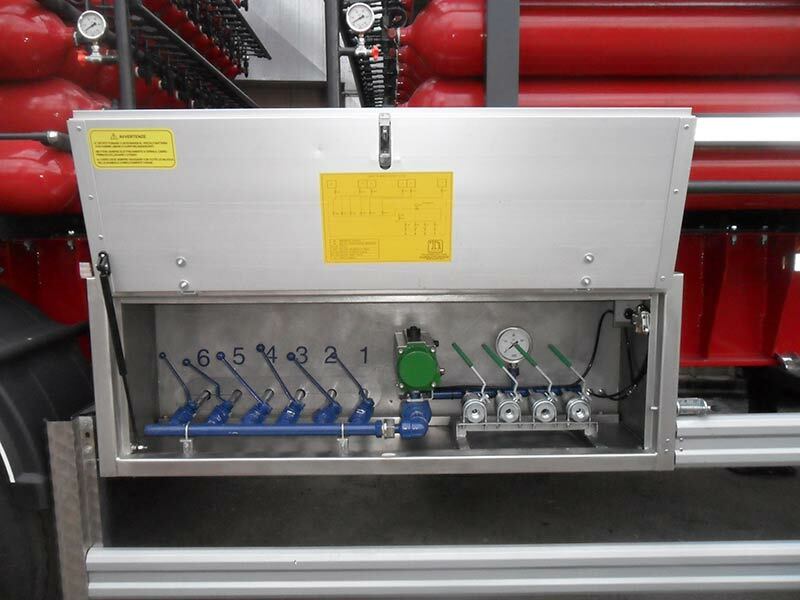 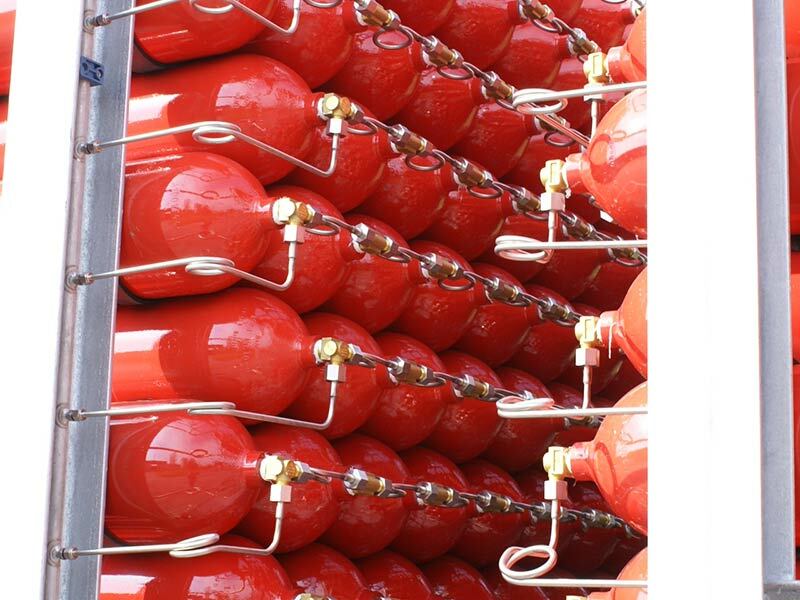 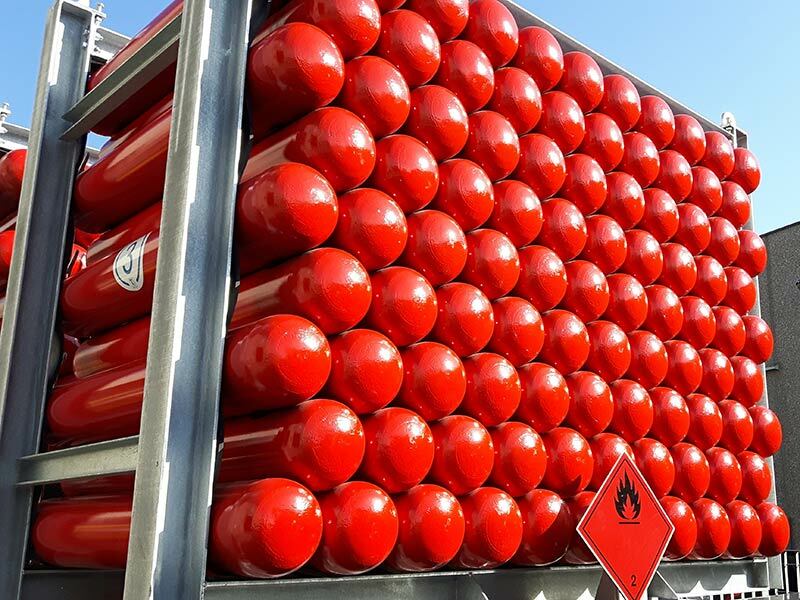 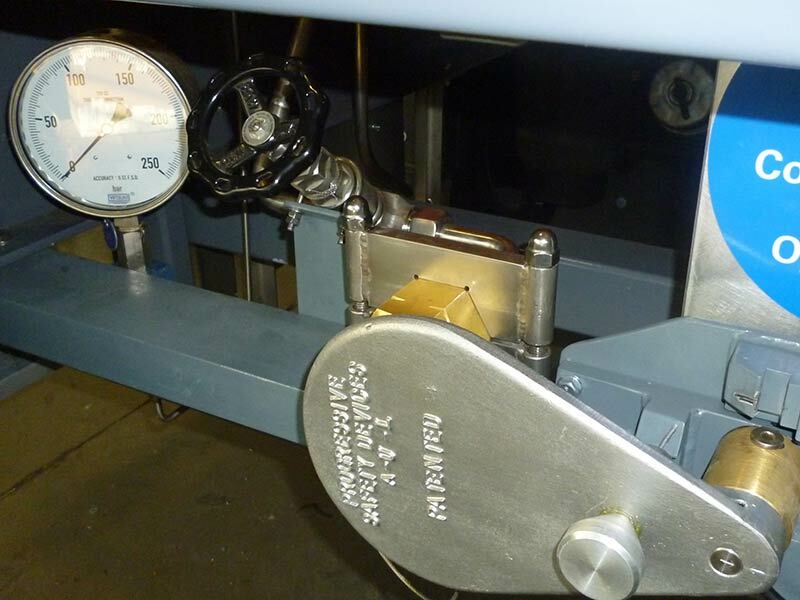 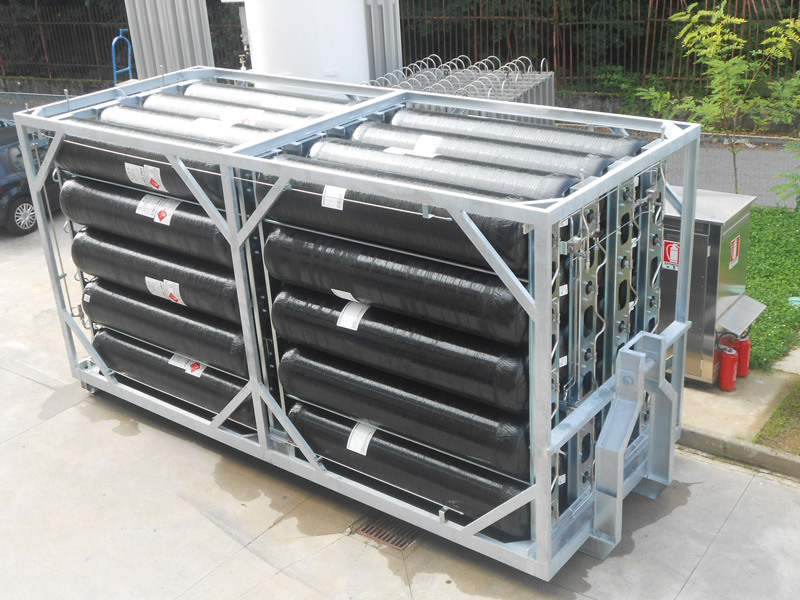 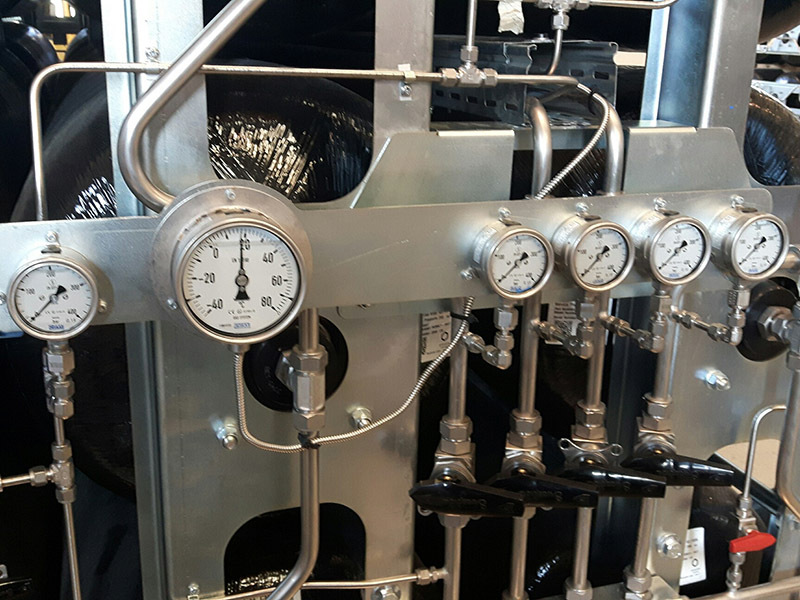 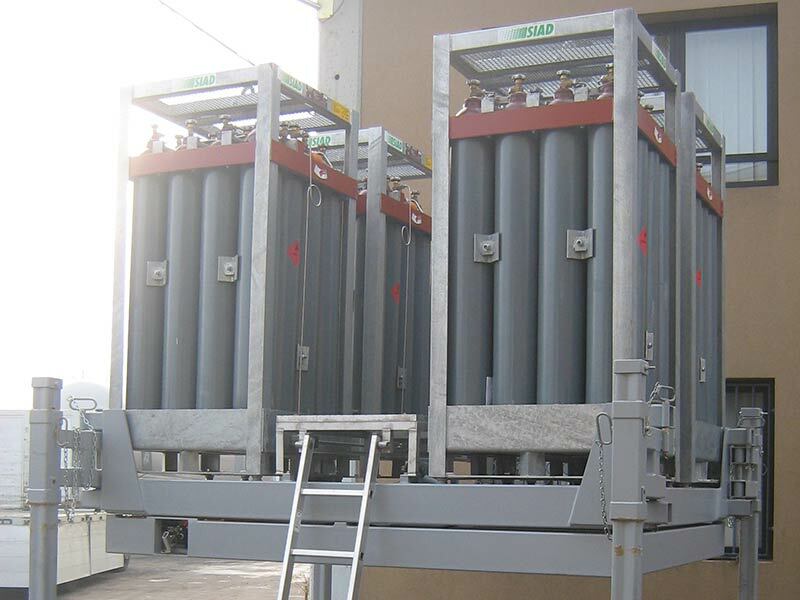 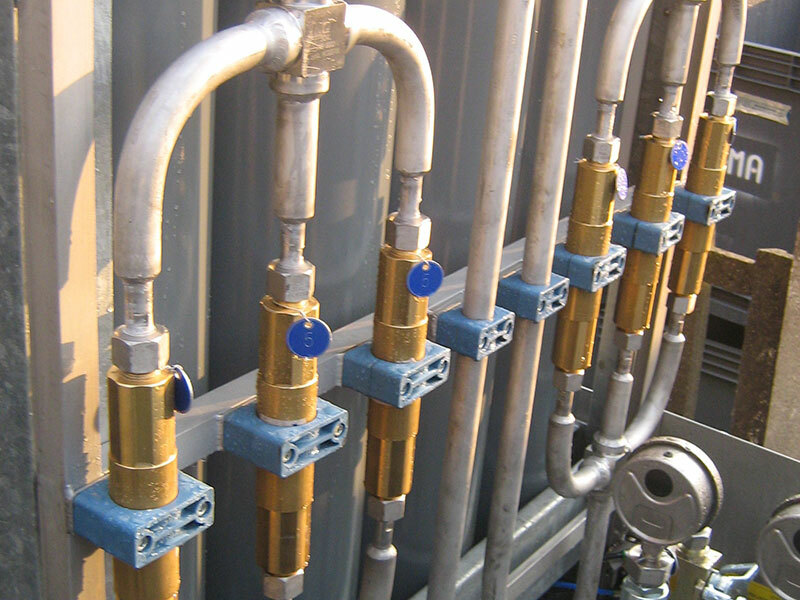 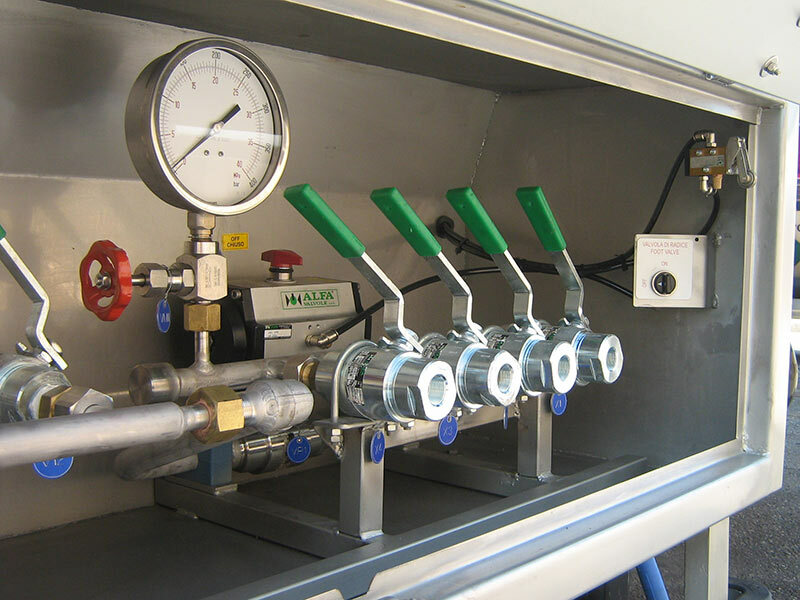 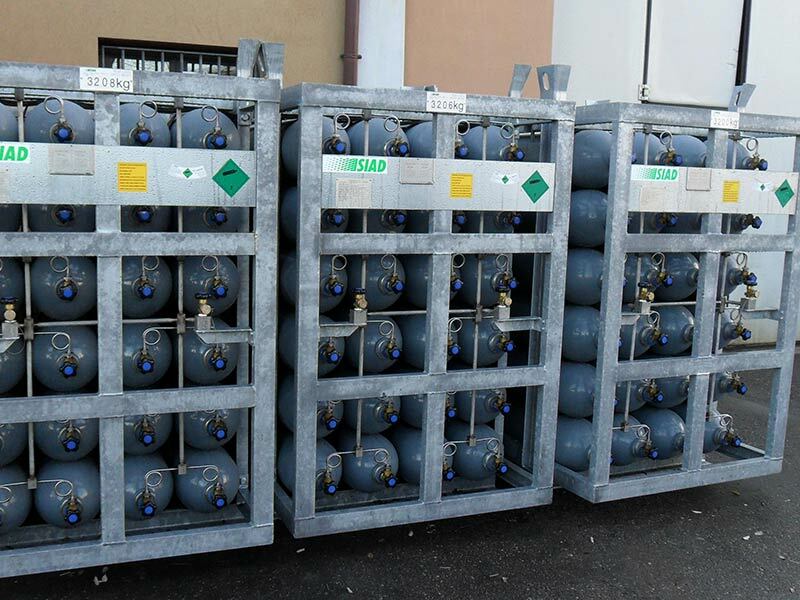 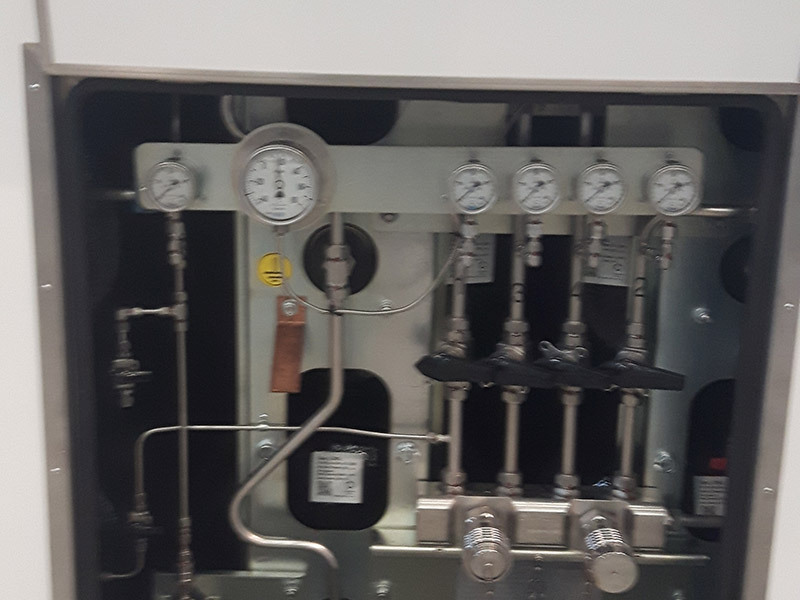 The cylinders can have unit capacity from 40 to 160 liters and working pressures from 200 to 300 bar. 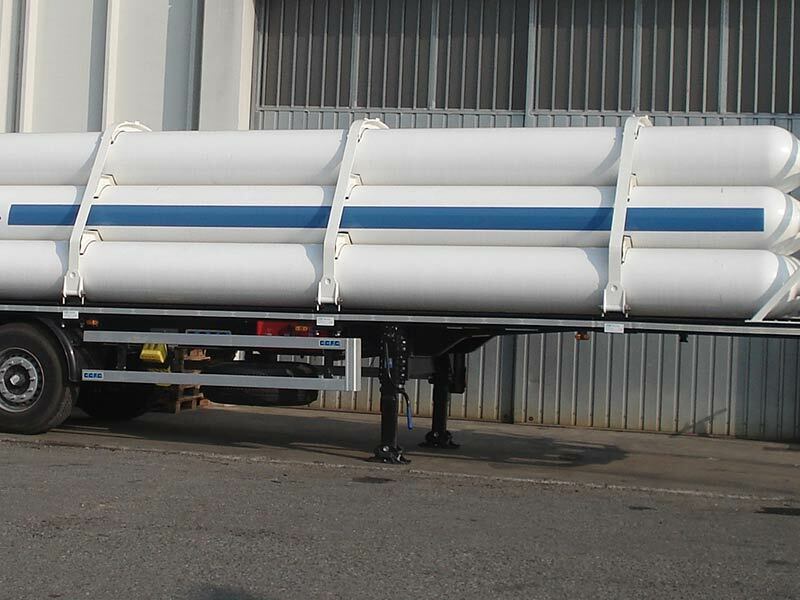 They are installed on chassis that meet the requirements of the destination country (max allowable load, type of axles and suspensions, etc.). 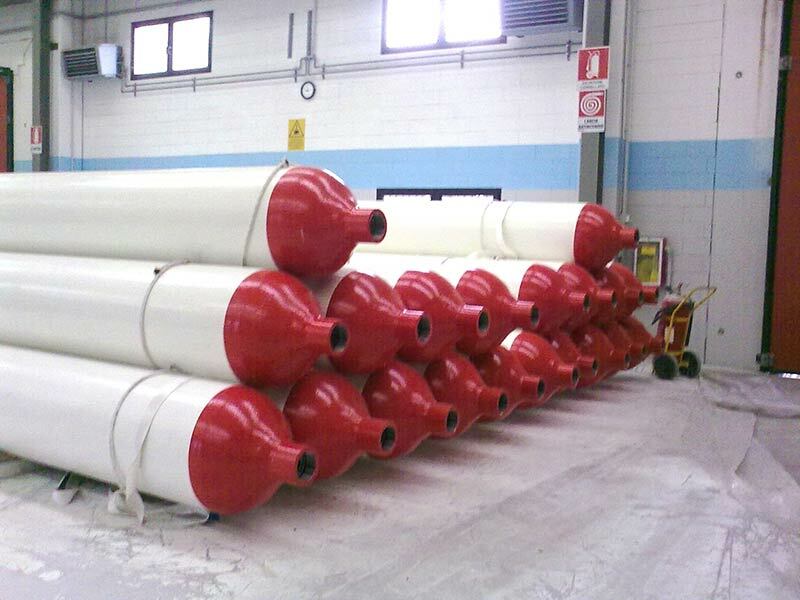 MEGCs with composite cylinders: type IV cylinders, with non-metallic liner and carbon fiber winding, allow high operating pressures (250 bar) with a cylinder weight equal to less than half of the best correspondent type I (all steel) cylinder. 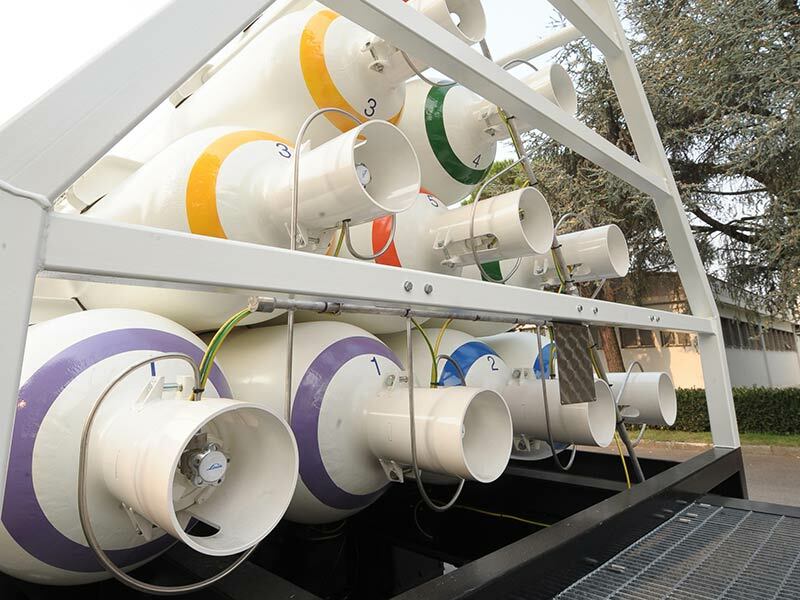 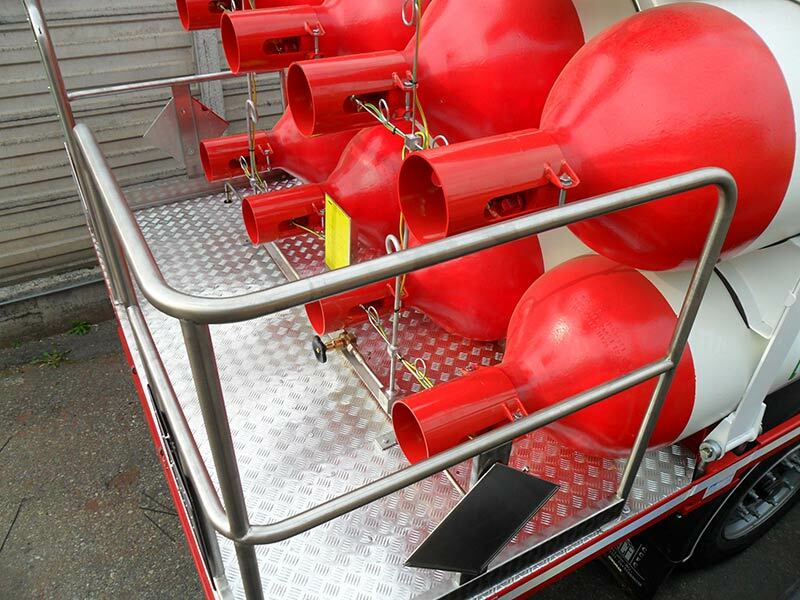 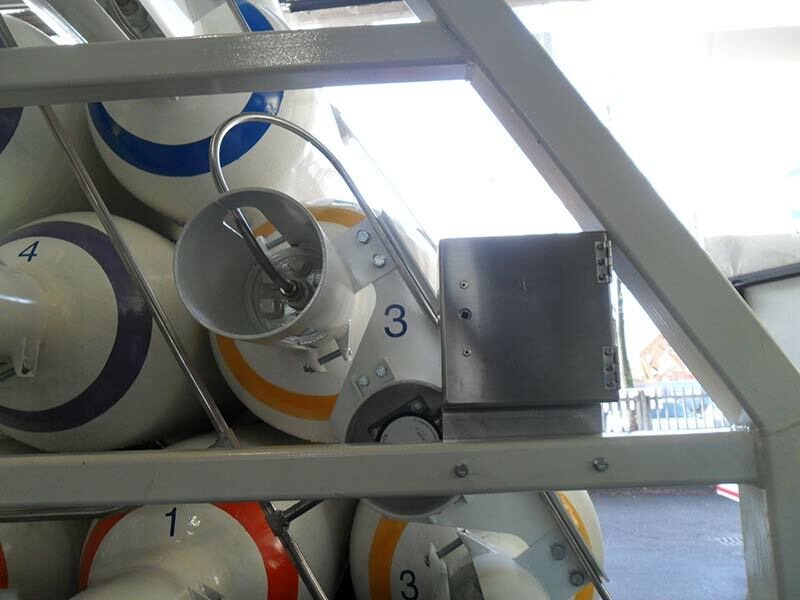 The unit composed of type IV cylinders therefore allows a payload unreachable for all other types. 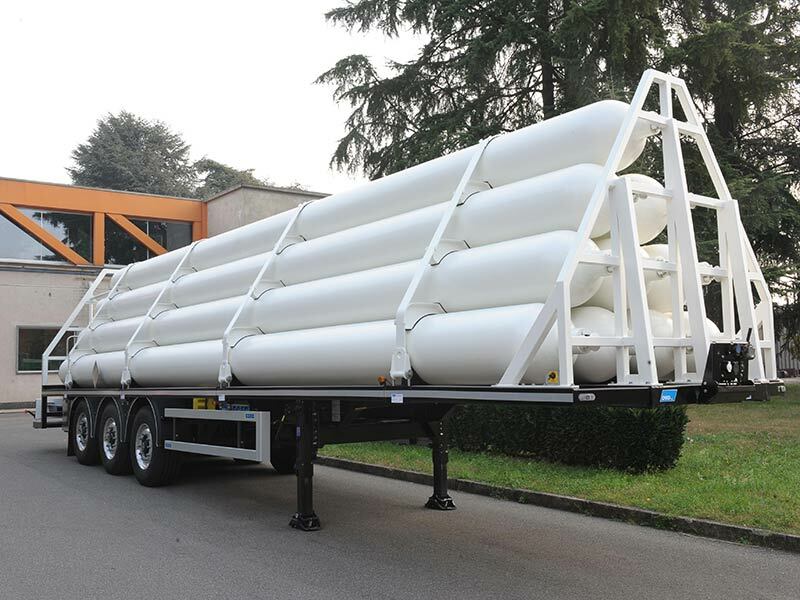 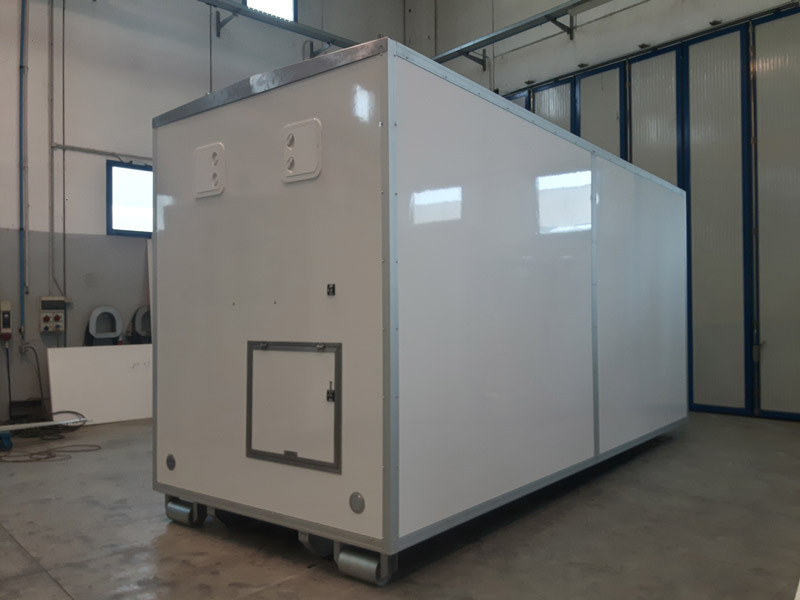 The typical configuration is a 20′ module (with container-type blocking system and eventually grouped two by two on semitrailer or with hooklift) or fixed semitrailer.